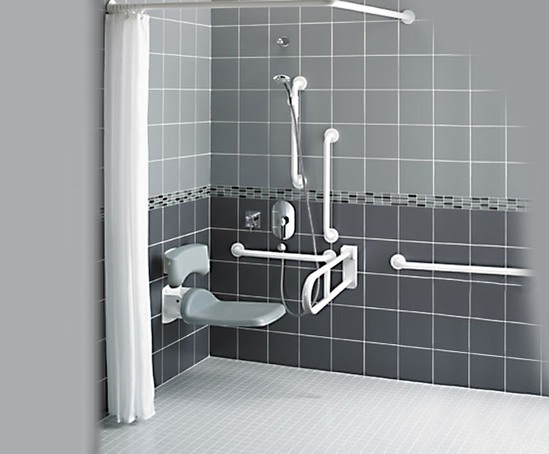 The Contour 21 unisex shower unit is a wheelchair accessible shower facility that is flexible and functional, and suitable for a wide range of applications. The shower unit comprises a fixed shower head, a moveable shower head, grab rails and a seat. It meets all Document M Building Regulations. 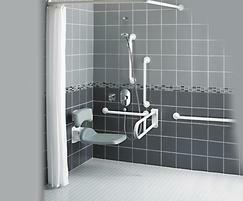 • Accessible shower and changing area for wheelchair and care-assisted use. • Easily adjusted diverter for fixed or moveable shower head. 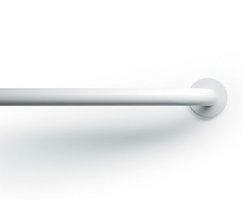 • Friction handset for ease of movement up and down the rail. 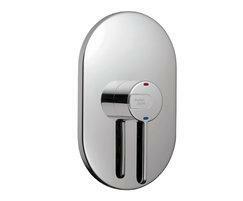 • Lever-operated thermostatic valve for the supply of hot water at a set, safe temperature. • Hinged seat and back support. 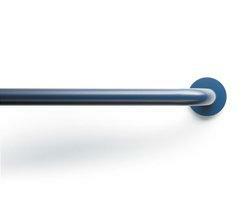 • Concealed fixing grab rails tested to 200kg. • Hinged support arm tested to 200kg. 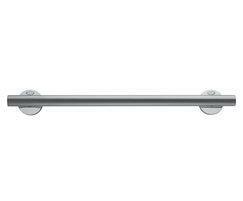 • Available with white, blue or stainless steel rails.